This review is about item#9241084. Most are used for dry processing of aluminum panels. We are the most frequently used end mill. I think life expectancy is reasonable. When it reaches the end of life, the sound also changes, the cutting dust grows a little, the cutting surface also becomes a little rough, so we are trying to replace it early while checking the cutting edge with a magnifying glass before symptoms come out. I am in great trouble if I lose it, I expect it as a substitute. This review is about item#09241057. I was using it for cutting of brass, but it broke on the way. Sissy! I had the impression. This review is about item#09241023. Purchased to make landscape holes in the glass epoxy board. A long hole can be processed beautifully with a drill machine and Proxon XY table. It became a favorite tool. This review is about item#09241032. It is also good to have sharpness. This review is about item#09241102. It was of sufficient quality. This review is about item#09241041. It can be used for SUS304 without any problem. Durability is not yet understood, but I think that the cost is considerably cheap. The machinability was very good and we were able to perform comfortable cutting. This review is about item#09241084. Although I am concerned about the lifespan, I managed to last long. The cut is not perfectly beautiful, but it is not inferior if you polish it a little. We use it for wood router processing. For wood there is a 6φ spiral bit, but because it is too expensive, I tried to substitute 6φ end mill this time. I am very satisfied that wood can be processed like tofu. With my mistake, both of the tips of the 8 mm end mill were crushed cleanly. The milling machine main body does not cause problems, and it breaks well in a well-balanced manner if it is bad, it is convinced that this is an element that can be relieved with this. I know the sharpness and how much it can be used, so I will be repeating from now on. I bought it for cutting at Shopbot. It is mainly used for cutting wood, but it can also process less fluff. It was quick to reach and it was saved. However, it is saved if you can send it by post posting if it is only such a small item. This review is about item#09241075. I am going to make a jig for amateur's model making. SUS303 and A5052 are the main products and there is no way to obtain the knife at hand easily and it happens to find it on the web and purchase it The feeling of use is inferior to the manufacturer's products that have been used from time to time, far more than the no-brand item obtained at the home center It is good-bye. I think that the delivery time is short and the service to individuals is also substantial. I use it with a trimmer. I use the speed controller and use the rotation number as close as possible to the specified numerical value. We adopted a cemented carbide tool so as to reduce the number of tool changes, but it also uses sharpness and durability without problems. Used instead of the trimmer's straight bit. I could carve beautifully without burning. I think I will not buy a straight bit anymore. Although it can not be said that there is much durability, I use it as a consumable item from the price. I bought it for a mortar hole carving. I can carve well. If possible, I also want something with a long blade length. There is no problem in accuracy and durability at all, it is a product you want to use from now on. Sharp cutting edge type but if you handle carefully, there is no cost savings mistake. It is a pity that the size will be only up to 12 years, I would like to ask for even larger size. This review is about item#09241111. 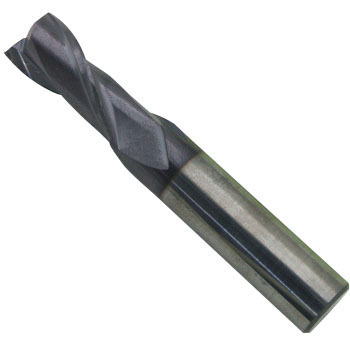 It is used to replace the spiral bit of woodworking trimmer. Excellent sharpness, silent sound, timber was cut like tofe. I am very happy.